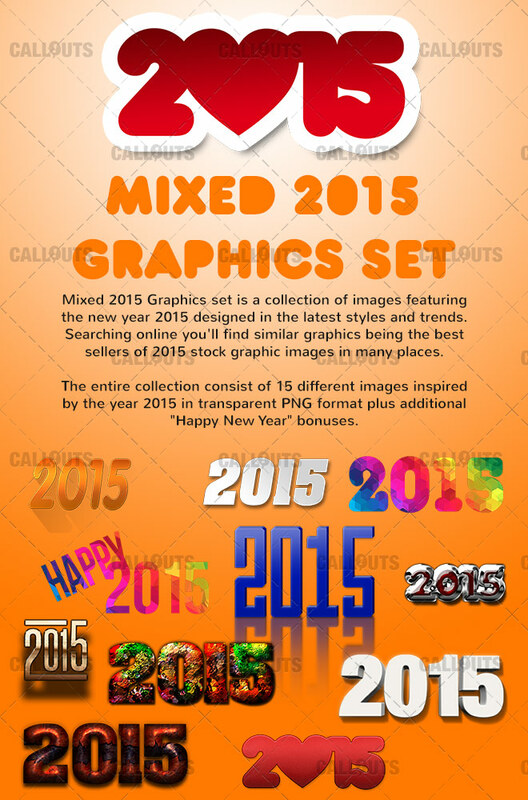 Mixed 2015 Graphics set is a collection of images featuring the new year 2015 designed in the latest styles and trends. 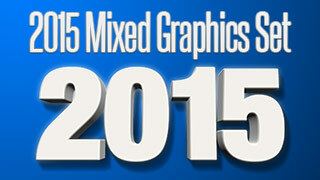 Searching online you’ll find similar graphics being the best sellers of 2015 stock graphic images in many places. The entire collection consist of 15 different images inspired by the year 2015 in transparent PNG format plus additional “Happy New Year” bonuses. All images are large, up to 1000×1000 pixels in size. See below for examples of the collection. I hope you find them very useful. Please review and comment below. 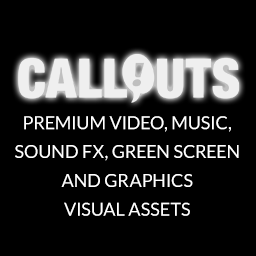 Due to their style, size and all the different images included I hope you’ll find them useful for example in your creative work. They are well suited for reports, blogs, emails, websites, presentations, Powerpoint, videos and much more. 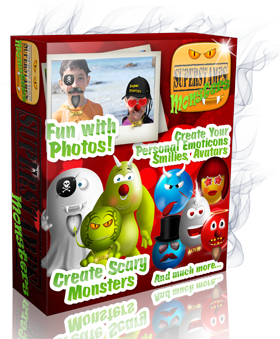 For Snagit this collection can be imported and used directly in the Snagit Editor as stamps. For Microsoft Office Applications this collection can also be imported into the Microsoft image browser and used directly in the applications. To get tips, tricks, news, secrets, updates, tutorials and more, enter your name and email address below! I consent to receive information about services and special offers via email. 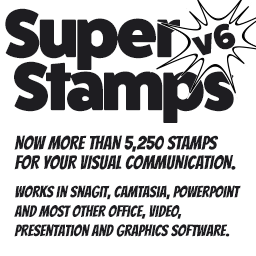 Snagit 2019 Is Now Released!